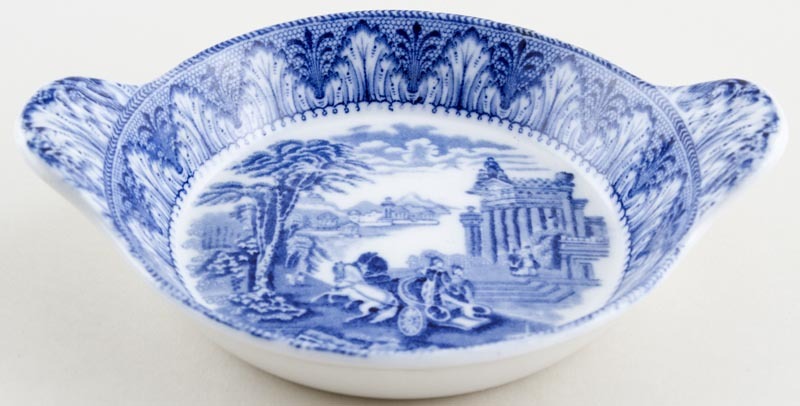 Small round dish with attractive moulded side handles and pattern on the inside only. Backstamp: Cauldon England. Inside the dish there is a little bubbling of the glaze and the print quality is slightly patchy.